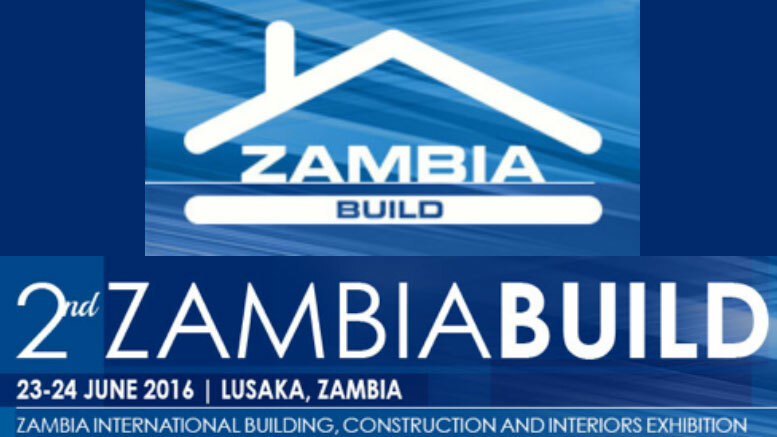 Lusaka will host the 2nd Zambia International Building, Construction and Interiors Exhibition (ZambiaBuild), the leading and most significant event in the construction & building industries in Zambia, at the New Government Complex Conference Centre, from 23rd–24th June 2016. Organized by Zambia Professional Trade Events (ZPTE), a conference and event organisers based in Lusaka, and AME Trade, a business-to-business event organiser in the emerging markets of Africa, the Middle East and South America, ZambiaBuild 2016 is supported by the National Council for Construction (NCC), Zambia Development Agency (ZDA), the Engineering Institute of Zambia (EIZ) and the American Chamber of Commerce (AMCHAM). The event will include a tradeshow alongside a conference where the main theme is “Undertaking Construction Projects in Zambia for Long-term Investment and a Growing Economy”. The ZambiaBuild 2016 program offers, for all industry stakeholders in Zambia and the region, a platform from which to demonstrate project updates, products and/or services. The program will focus on topics such as: Zambia 2030 vision housing targets, Zambia Housing policy, the Boom in the construction of real estate and commercial properties, Building systems and technologies. The 1st edition of ZambiaBuild held in 2015 saw more than 500 participants, 32 exhibitors and 3 international sponsors from 12 countries. Zambia is currently experiencing a boom in the construction sector. UN forecasts suggest that the population of Lusaka will double during the period 2010 – 2025. Zambia has one of the world’s fastest growing populations, and urban dwellers are projected to be the majority by 2040. Rising investment in the economy has prompted a construction boom driven by infrastructure projects. However, the Government of Zambia has projected that the country will experience a housing deficit of over 3 million units by 2030. Hence, there is a need for continued investment in construction projects and activities to meet the increasing demand and ease increasing strain on the construction industry.